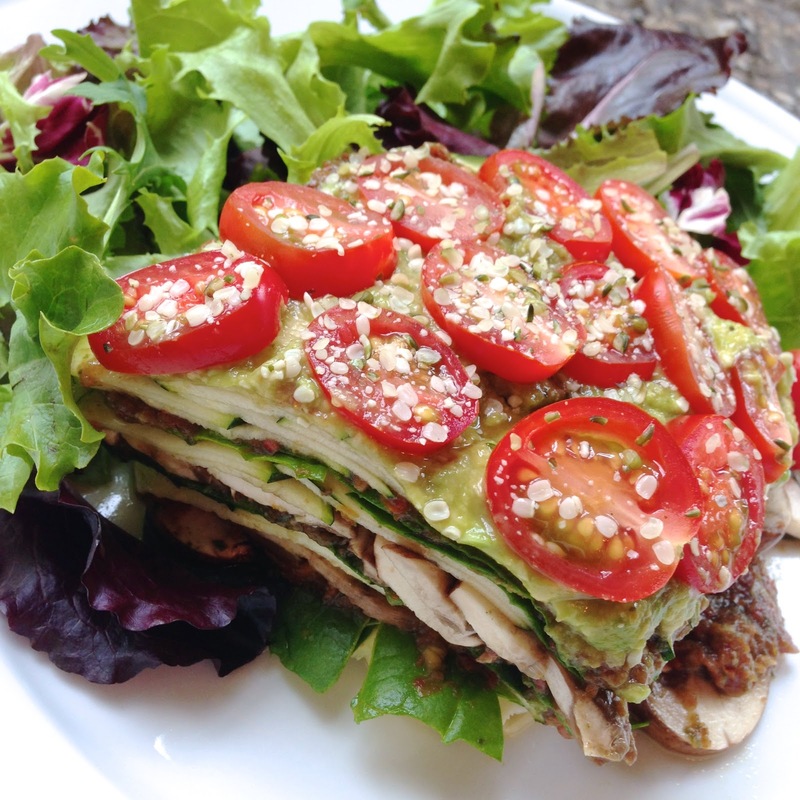 Annie Jaffrey: Raw Vegan Lasagna Recipe! this is amazing! i will try this out first thing tomorrow! Dear Edith, Hope you do not mind me butting in to respond to ur questions to Annie. I just felt like expressing my thoughts when I read ur comment. I am currently in a 4yrs old relationship with guy I love to bits. He is a foodie to the core!! He loves all foods, mostly non-vegetarian, even when he knows its not really good for his body. I have been struggling past couple months trying eat raw vegan foods. The little changes I made in my food habits while trying to become a raw vegan, helped my body and my appearance and health. My boyfriend was inspired by it. He is still reluctant to try it himself but he supports me. I cook separately for him and me. I have faith that one day he will be convinced to be a raw vegan as well, if not, I at least know he is not going to be the influence in my life to deviate me from doing what I like doing for myself because he loves me. For now I continue to inspire him and he continues to support me. Great recipe Annie! 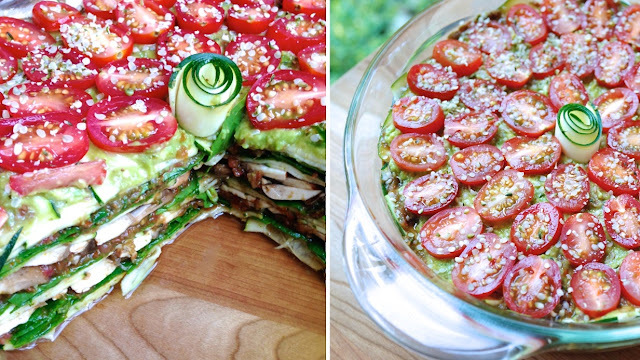 Im seriously thinking about having 2 of my 3 meals raw :) I've been learning so much thanks to you! Definitely raw foods are best. Im beginning a new job and need some extra boost of energy. Surely raw foods will help me. Kisses!!!!!! This looks interesting. Must be difficult to make. I love lasagna. I'll have to try it this summer! Looks really good...i#ve been trying to include one raw meal a day into my diet...enjoy all your posts they're really inspiring. Thanks for sharing! This looks amazing! Will try this very soon. Thanks for posting Annie!! Your food always looks so delicious ! it would mean a lot to me if you checked out my video on this breakfast idea since you inspire me a lot to be completely healthy; so thank you very much annie ! heyy annie!! ive been a follower of yours for years ( way before you became a raw vegan) and i have to say i just love you more and more! I've been sick ( on dialysis) for a few years and i recently received a transplant. On dialysis i had to stay on a very low potassium diet and strict water restriction so i couldn't eat most fruit or vegetables. Since the transplant i've been eating an abundance of fruit and vegetables and it's been incredible. I'm not a raw vegan like you but I've been on a vegan high carb low fat low protein diet ever since ( and my breakfast is always raw fruit-love the banana milk omg) and it's the best I've ever felt. I have so much energy I want to tell the world! I was never into running, I couldn't run for more than 2 minutes without stopping I now run 45 minutes without stopping and improving everyday. I'm never frustrated, I hate how other diets use to make me feel, small portions, low-carb lifestyle with no nutritious benefits, no joy in food, digestive problems and just obsessing about calories and weight. Please continue to promote this lifestyle, it truly is the way to inner peace, self-love, strenght, beauty, health!! Wow, such a great idea! It seems to taste so good.